Morticia and Gomez Puppen. 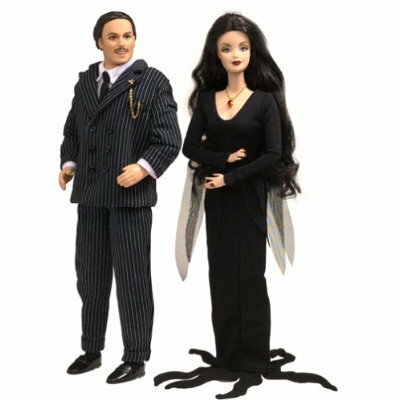 Barbie and Ken Puppen of Morticia and Gomez.. Wallpaper and background images in the Addams Family club tagged: the addams family morticia addams gomez addams addams family dolls morticia doll gomez doll. This Addams Family fan art contains gut gekleidete person, anzug, hosenanzug, pantsuit, geschäftsanzug, and business-anzug. There might also be anzug and anzug der kleidung.